There’s a third chapter of Insidious ahead of us: yep, the studios are indeed planning an Insidious 3 movie! There’s even an official release date: Insidious 3 will hit theaters on April 3, 2015. No real wonder here, the sequel was a huge success after all: it managed to gross $168 million worldwide for a $5 million budget. Unfortunately Director James Wan won’t helm this third chapter. The director is not interested anymore by the horror genre. But Scriptwriter Leigh Whannell, who worked on the first two installments, signed on to return as writer. So we may hope for some continuity or at least for the third film to be faithful to the spirit of the previous movies. Do you have any suggestion regarding the plot of of Insidious 3? Share your thoughts below! 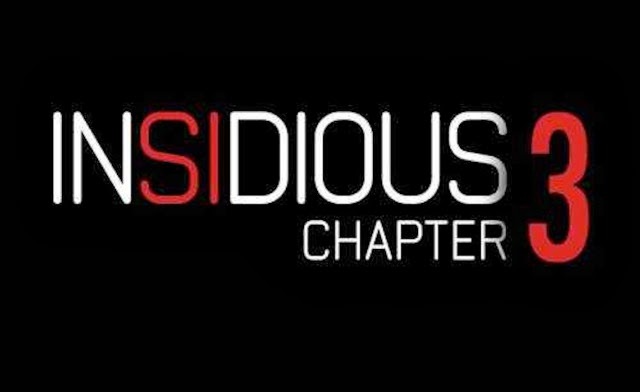 Anyway, stay tuned with us for more details about Insidious 3. Is Ty Simpkins going to be in insidious 3? This installment should take place maybe two years after the first and second movie encounters. With an entire new cast because of the ending of two this should take place with a ghostly girl and several other spirits trying to bring demise and destruction to happy suburban family the spirit is more dangerous and hands on the entire family will at some point will be possessed by the spirit. The later find out the moved in the same house the previous owners lived in from chapters 1 and 2 but this time it demons are full force. And final two youngest children will see the ghost and try to convince there parents but later they will soon find that nothing shouldn’t be ignored and they call in tucker and specs and of course Elise (died) but not spiritual to set things right once more.